The British Parliament voted against the Brexit agreement but what does this mean when shipping to or from the UK? At this moment, the opinions of the various parties within the British Parliament are too far apart. However, a majority has spoken out against a No Deal scenario and against a hard border with Ireland. 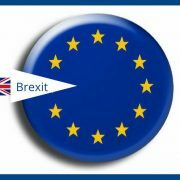 The most favorable Brexit scenario is a timely deal between the EU and the United Kingdom. In this case, a trade agreement can be concluded and new rules and procedures for imports and exports to the UK are issued.